Pain Medicine Group always appreciates feedback from our valued patients. To date, we’re thrilled to have collected 80 reviews with an average rating of 4.7 out of 5 stars. 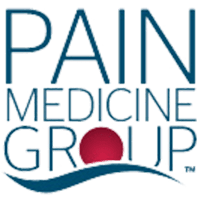 Please read what others are saying about Pain Medicine Group below, and as always, we would love to collect your feedback. Dr. Worobel is always professional, knowledgable and courteous. I love his practice. Dr Worobel sincerely cares for his patients. The staff is courteous, professional and helpful. I have always been pleased with my treatment at this office. Dr. Nicole Burns is very professional and very thorough ,the only negative I had was with one of the staff accused me of abusing my medicine unfortunately I will not be going back, only for that reason. The office staff are very kind and Dr. Tse seemed well versed with options to help my pain. Hoping this trip to the Dr. , with his help, will get me back to doing some of things I used to do and ease my pain at work. Thank You. Sometimes the shots go easy, sometimes they don’t. Not you’re fault. I really do say your care is always exceptional. Wait was a little long in the waiting area but after meeting Dr. Rahad was worth the time. Highly recommended. She knew what she was talking about. Excellent! My experience was great everyone is helpful and the doctor helps you find the best method to help your pain situation. I just love Dr. Radahd. She is very attentive to one's need and shows a compassion unlike others in her profession. She's kind, warm and very good at what she does. Her staff are the best that I've ever had the privilege of knowing. They are all consummate professionals at their craft. I always look forward to my visits there. I highly recommend them. I rate them A10+. I had some questions that the intake nurse couldn’t answer. Do. Radahd is a wonderful doctor. Dr. Work elf is a great doctor. He always takes the time to answer any questions you may have! Dr. Worobel listened to me and my issues and didn't pass judgement and understood how I feel. Thank you So much! Received injection today in both my knees. Pain has left my knees. Dr Worobel is very good and professional.